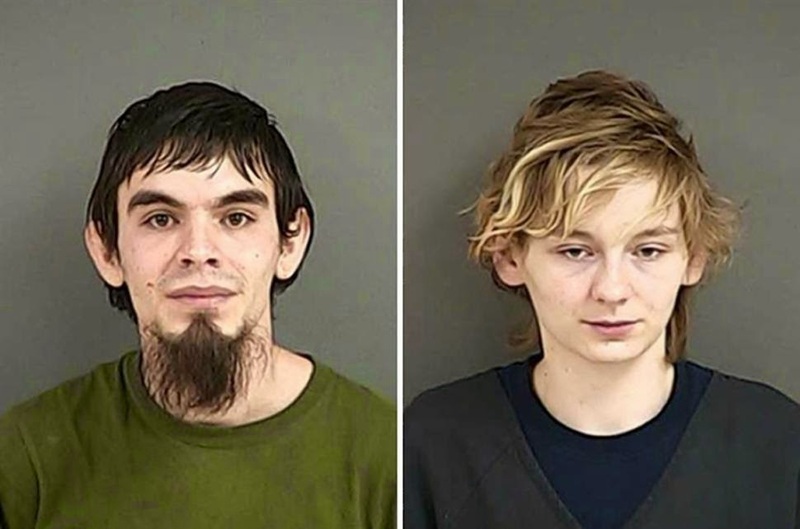 Stephen Michael Williams Jr., 26, and Amanda Marie Hancock, 21, of the small timber town of Glendale, are accused of causing the death of their 7-week-old son through neglect and maltreatment. Williams told investigators he thought the baby had lost some weight, but he didn't call the doctor "because that was Amanda's responsibility," the document said. Would you take a punt on his ethnicity? I assumed he was half-goat. Shaved, he might pass as Gollum. He is certainly one of the ugliest people I have ever seen. In a sane society, he and his parents would have been sterilized upon his birth, and this unpleasantness would never have happened. Yes, that's it - half goat! I knew you'd be able to identify it. It's just missing the horns and pan pipe and neurons. I'm new to the term Melungeon but after doing some research I'm sticking with half goat over Melungeon and Gollum. Evil goat. It makes me wonder about evolution by way of natural selection. I can see you appreciate the classics. Our ancient Greek predecessors might have been on to something with their description of the satyr. Natural selection just isn't cutting it anymore. We've done to much to thwart the Mother's handiwork. We need a whole lot of artificial selection, very very soon to get these goats out of the gene pool.